41cm (16inch) base with 51cm (20inch) shade. 75cm (30inch) overall All sizes are approximate. A “supersize” image is available.Please click here. Please click image when loaded to enlarge further. 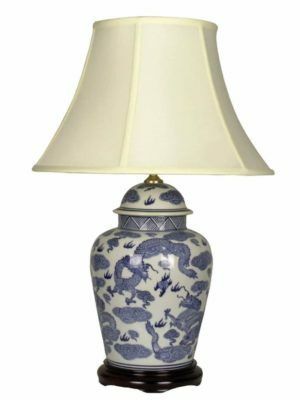 Chinese Porcelain Table Lamp with Flower Pattern. Price inclusive of shades as shown and UK delivery within 2-3 days. The base is crafted from high quality porcelain and sits on a real wood attached stand. We offer a money back guarantee if you are not delighted with your purchase. Please note that due to their handcrafted nature some minor variations may occur between lamps. We do not supply bulbs due to possible filament damage during transit. Large shoulder jar lamp in black with a touch of midnight blue in a swirling golden floral design. 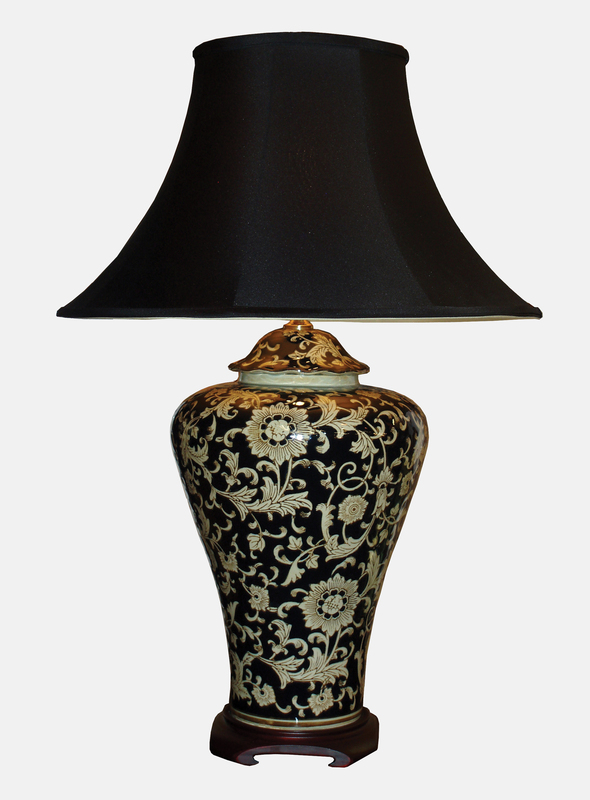 Constructed from a 40cm porcelain jar mounted on a hardwood base and carrying a black faux silk fully lined shade.